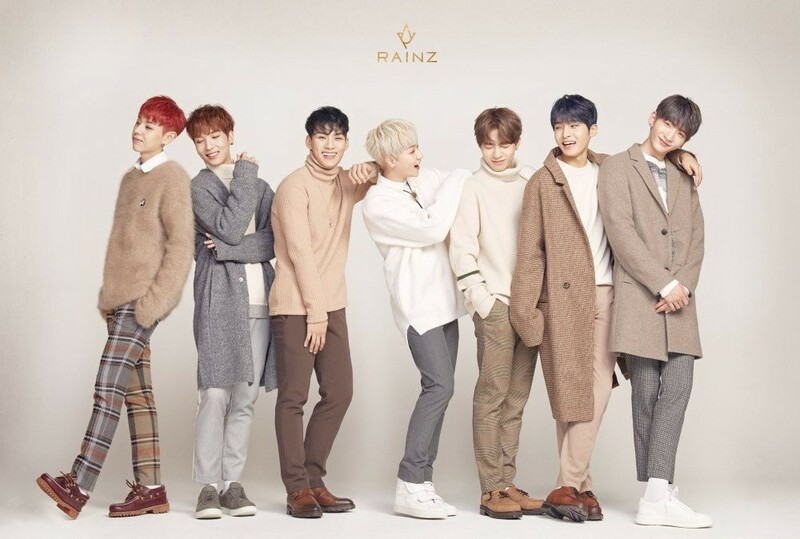 Rainz�revealed the official track list for their 2nd mini album 'Shake You Up'. Including the instrumental version, the album consists a total of 5 songs. 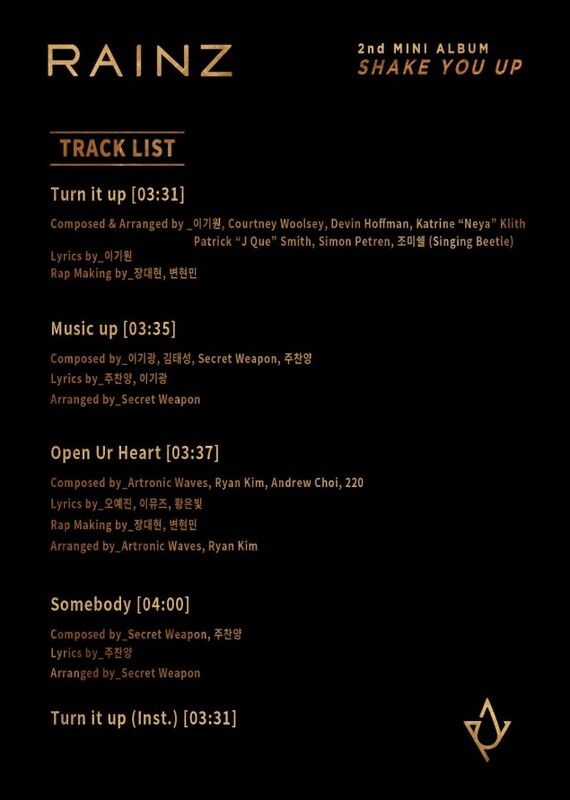 The album starts with "Turn It Up" then moves onto "Music Up", "Open Ur Heart", "Somebody", and ends with the instrumental version of "Turn It Up". Check out the full list below. As announced by their comeback schedule, fans can expect something special on January 16, a teaser video on January 17, and much more. Stay tuned for their full comeback on January 23!